When you are trying to assess what you can afford for a Fort Collins home, it’s important to look at all parts of your income to determine what your budget will be. Although this sounds complicated, it’s actually quite easy to figure this out. Start to make a list of all your monthly expenses (not including rent since you won’t need this once your a home owner) including food, supplies, savings, entertainment, etc. After you have an accurate estimate of what your expenses will be while living in a Fort Collins home, subtract that number from your total monthly income. This figure will allow you to know about how much you can afford on a mortgage month to month. It’s important that when you get this figure, you don’t allow the prospect of getting more than you can afford via a mortgage to enter your thought process. Your mortgage lender may be willing to offer you an amount that is higher than you can afford which would allow you to exceed your budget on a home. You must never do this because you want to stay responsible and not want to risk going into foreclosure. Getting a loan to pay for your Fort Collins home is an important process and you want to try to be saving the most amount of money as you can. Your credit score can save you a lot of money or cost you a lot of money depending on what your report says. If you have a low credit score, you may have issues getting approved for a home loan or you will find yourself paying very high interest. However, if you have a high credit score, you can get your loan with a great interest rate. After you get your credit report (available free via the three credit bureaus: Equifax, Experian, and Transunion), try and locate any errors within the report and consider contacting the credit reporting bureau to correct this. If your credit score is below 700, you should visit the My FICO website to find strategies to increase this to get a better interest rate and a better chance at getting approved. After you figure out how much you are able to afford by calculating your budget, it’s of vital importance to know what your mortgage lender will be willing offer you for a home loan. 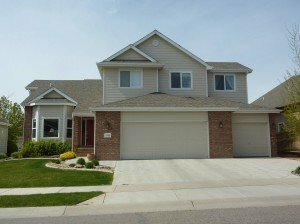 Based off the credit report that you ran in step 2, the home loan lender will decide the maximum they’d be willing to give you towards your purchase of your Fort Collins home. When you have your pre-approval loan amount, you will be able to better select a home in your budget and sellers will be able to take your offer more seriously because you will have money ready. I hope this helps in your search for Homes for Sale in Fort Collins and buying homes in Fort Collins. I have connections with several local lenders that I would be more than happy to refer you to.